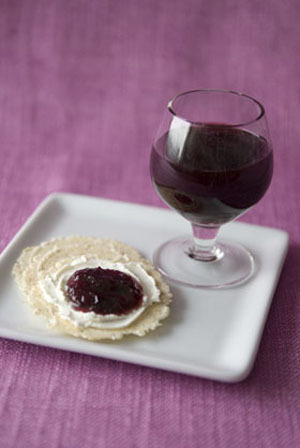 For far beyond resting on their laurels as a colorful and tasty topping for cream cheese on a cracker, these delightful jellies are multipurpose spreads, dips, glazes, and condiments with dozens of appetizing possibilities. 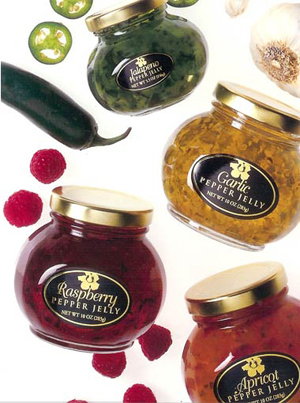 To employ a southern word, pepper jellies are sassy. They’re fun, they’re different, and given how much in love this country is with spicy foods, we’re surprised they’re not in broader use. Pepper jelly makes it easy to turn everyday dishes into something much more stylish and exciting—just by opening the jar. When was it ever so easy to generate excitement among your foodie friends? All you have to do is order a dozen jars of jelly and send out an e-mail telling everyone else what to bring. FORWARD THIS NIBBLE to anyone who likes things sweet and spicy, and to anyone looking for a tasty stocking-stuffer. 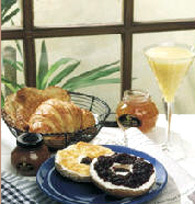 Variety is the spice of life: try different flavors of Aloha From Oregon Pepper Jelly. 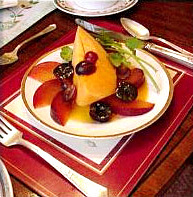 Invite your friends to a brunch, tea, or cocktail party and try them all. You’ll have a great time! 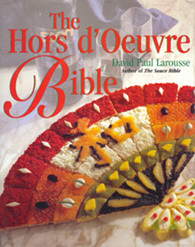 The Hors D’Oeuvre Bible, by David Paul Larousse. From classical hors d’oeuvres to some of today’s most imaginative creations, a step-by-step guide to more than 700 spectacular dishes. Click here for more information. 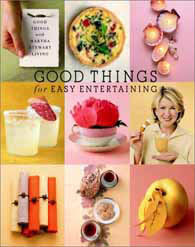 Good Things for Easy Entertaining, by Martha Stewart. Dozens of ideas, projects, and recipes to help you entertain more easily and more often. From drinks, hors d'oeuvres and desserts to easy decor and ambience. Click here for more information. 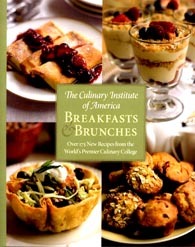 Breakfasts and Brunches, by The Culinary Institute of America. The CIA has turned out some of America’s most famous chefs. 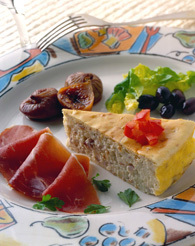 With this book, amateur cooks can turn out great breakfasts and brunches. Click here for more information. 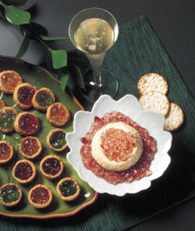 FOR ADDITIONAL INFORMATION, special offers, contests, opinion surveys, THE NIBBLE prior issues archive, product gift-finder and the ability to nominate YOUR favorite nibbles, visit the home page of TheNibble.com. Click here to send them an invitation to sign up.